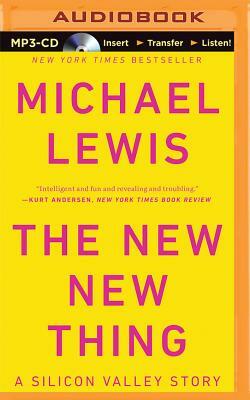 In the weird glow of the dying millennium, Michael Lewis sets out on a safari through Silicon Valley to find the world's most important technology entrepreneur, the man who embodies the spirit of the coming age. He finds him in Jim Clark, who is about to create his third, separate, billion-dollar company: first Silicon Graphics, then Netscape--which launched the Information Age--and now Healtheon, a startup that may turn the $1 trillion healthcare industry on its head. Despite the variety of his achievements, Clark thinks of himself mainly as the creator of Hyperion, which happens to be a sailboat--not just an ordinary yacht, but the world's largest single-mast vessel, a machine more complex than a 747. Clark claims he will be able to sail it via computer from his desk in San Francisco, and the new code may contain the seeds of his next billion-dollar coup. On the wings of Lewis' celebrated storytelling, the listener takes the ride of a lifetime through this strange landscape of geeks and billionaires. We get the inside story of the battle between Netscape and Microsoft; we sit in the room as Clark tries to persuade the investment bankers that Healtheon IS the new Microsoft; we get queasy as Clark pits his boat against the rage of the North Atlantic in winter. And in every brilliant anecdote and character sketch, Lewis is drawing us a map of markets and free enterprise in the twenty-first century.